A live exercise to test the response of emergency services to a major incident will be conducted in Hull this weekend, on Saturday 24th June. 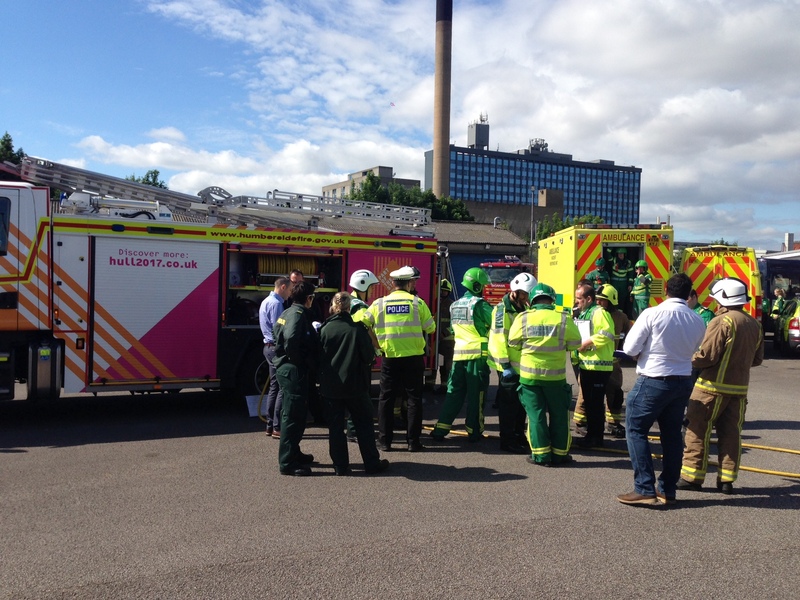 Exercise Orange Falcon has been organised by a team at Hull University Teaching Hospitals NHS Trust with support from colleagues including police, fire, ambulance, and the voluntary sector. The exercise has taken over six months to come to fruition, after discussion and preparations began back in December last year. Organisers will not reveal precise details of the exercise prior to the day, as staff are being asked to respond as if it were a real life situation. However, people will begin to notice activity on Saturday morning in the Londesborough Street area of West Hull, and mock ‘casualties’, played by students of Bishop Burton College, will be brought to hospital. The exercise is designed to test the ability of the various organisations taking part to work together effectively. In particular, as Hull Royal Infirmary is one of just eleven adult major trauma centres in the country, it will also allow Hull University Teaching Hospitals NHS Trust to test its internal systems and how the various teams and departments work together. Care has been taken to ensure the exercise will not interfere with routine services provided in the Emergency Department or elsewhere in the hospital. “No one can predict when a major incident or large scale emergency will occur, so it’s important that we test our systems regularly with both table-top and ‘as live’ exercises to see how people respond. “Exercise Orange Falcon will not only test the inter-agency agreements and processes we have in place should there be a major incident, but crucially it will also test the personal response of individuals to a situation which is unknown, urgent and constantly changing. Exercise Orange Falcon will take place across the morning and early afternoon of Saturday 24th June. Those local to the Londesborough Street area may note some unusual activity, including use of a drone to capture footage of events, supplied by Humberside Fire and Rescue. Hull University Teaching Hospitals NHS Trust will be using its Twitter feed @HEYNHS to post information and updates throughout the exercise, which is due to conclude in the early afternoon.